Sleeping Bear Press, 9781585369591, 32pp. 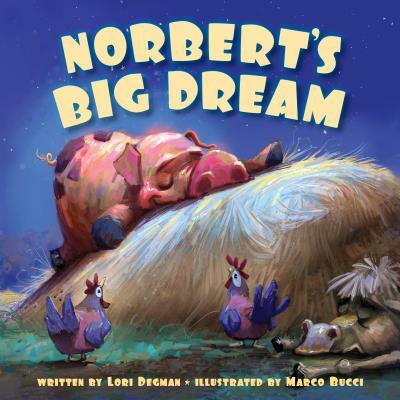 Norbert is a pig with a dream. It doesn't matter if the other farm animals snicker behind his back, Norbert has always dreamed of swimming the English Channel. He's been preparing and training and finally he's ready for the big swim But where exactly is the English Channel? Will Norbert have to give up on his dreams or will his friends come to the rescue after all? A sweet, funny story about dreaming big.